Part of the Roche Musique and Sodasound family is Parisian producer, Jordan Lee. 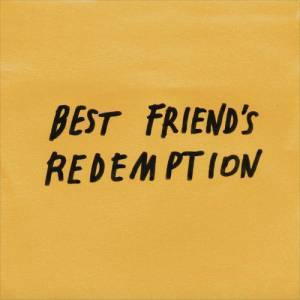 Nearly a year ago today he released his Best Friend's Redemption EP. It tells a beautiful story about Jordan's best friend and his journey through passion, heartbreak, and self-healing. Despite the lack of involvement of those involved, I tried to do the best I could. But in the emotional state of the day, I could not finish an album alone. To depend on others is one of the most detrimental states in the creative process, and I would soon discover it. So the song list went from 13 to 5, but it was 5 songs that we could be proud of. It seems to me that it was George Lucas who said, "we do not finish a film, we let it go". For music, it's the same. After a year of hard work, it was time to let go. Regardless of the strife, "Freefall" is barely a glimpse into how fantastic of an EP Best Friend's Redemption truly is. Along with Jordan's vocal similarities to Justin Timberlake, which makes the neo-soul and hip-hop infused tune all the more compelling.